Arrowtown Rests gently but firmly on its past, lingering as a living memory of a substantial gold town of the early 1860s goldrush days. The town was the first mining settlement in the Wakatipu District and its historic character has been faithfully retained by stringent town planning regulations. Historic miners’ cottages shelter under an avenue of trees. More than 50 buildings from the 1800s and early 1900s remain in the town to this day. 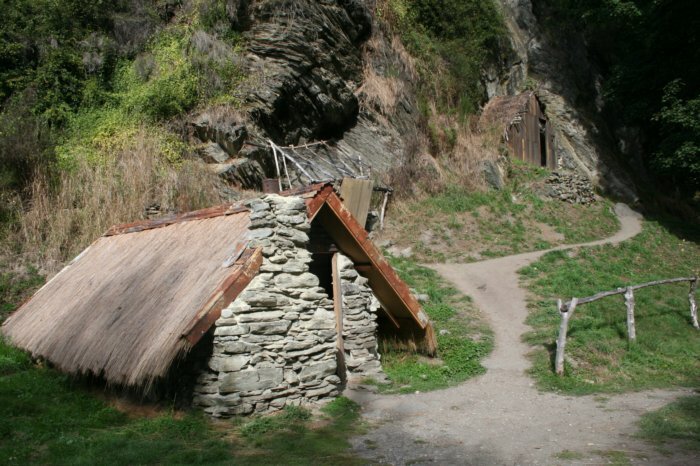 Above the town, on the banks of Bush Creek, a tributary of the Arrow river, is the partially restored and well interpreted Arrowtown Chinese Settlement – a mute reminder and tribute to the contribution made by the Chinese goldminers and business people to the region’s goldmining, cultural and business history. The census figures for 1874 reveal that there were 3,564 Chinese in Otago, and the peak population in New Zealand was 4,995 in 1881, with the majority of those settling in Otago and on the West Coast. Those who lived close to towns were often the victims of discrimination. 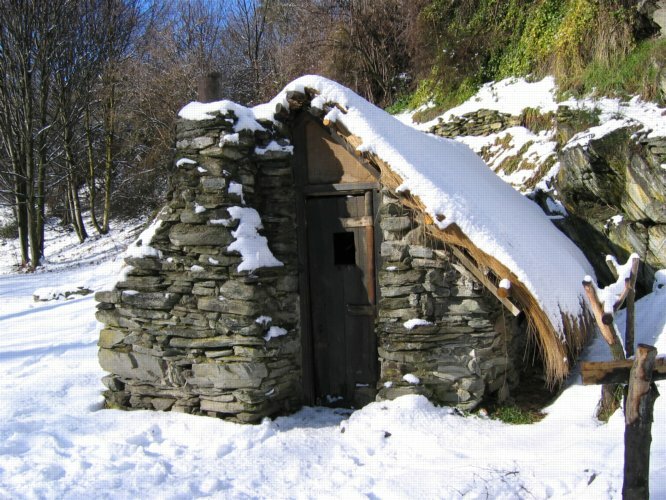 They lived on the fringes of European settlements though many also lived in isolated gullies close to their mining claims. Chinese that died were either buried in graves in a Chinese section or just outside the cemetery. Later most were exhumed and shipped to be reburied in their villages in China. 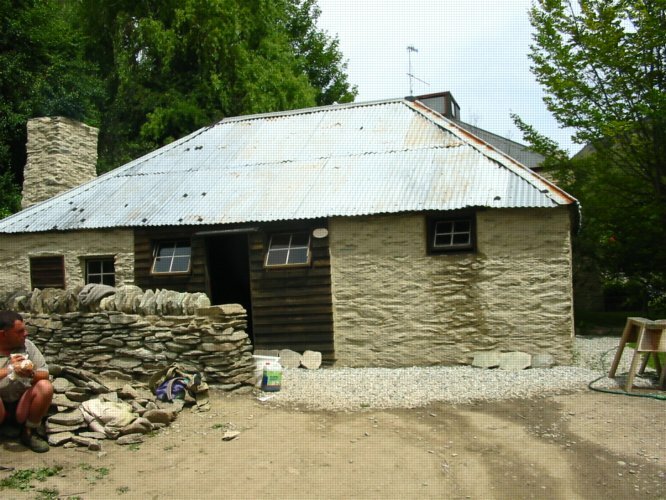 The Lakes District Museum, one of the best of New Zealand’s small museums, displays the region’s rich history. Each April there is an Autumn Festival which celebrates the goldmining heritage, with the town folk donning period costumes and providing an opportunity for all to join in the art, craft and music activities.